I strive to treat each client as if they are my only one by going above and beyond to provide the attention and service they deserve. Shauna joined Leone, McDonnell & Roberts, Professional Association in 2006, in 2017 she was promoted to Vice President, Partner. In her role as Vice President, Partner, her work is primarily dedicated to providing audit and review services for closely-held businesses and not-for-profit organizations. Shauna works with a wide range of clients, which include, but are not limited to manufacturers, distributors, not-for-profits, HUD organizations and low income housing tax credit properties. She also has experience in taxation. 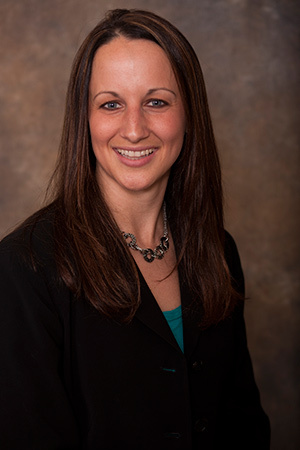 Prior to joining the firm, Shauna worked at a Massachusetts CPA firm for three years. Shauna originally grew fond of the accounting industry after learning the experiences of friends and family who worked in the field and learning of their interactions with and commitment to serving their clients. Today she attributes her success to a number of factors, including her education and on-the-job training, the knowledgeable mentors she has worked with throughout her career and her commitment to never stop learning. Shauna believes the experience of having a family has emphasized the importance of working hard and efficiently in order to maintain a steady career-life balance. Shauna grew up in Deerfield, New Hampshire where she resides today with her husband Nate and their two children. While not in the office, she enjoys spending time with family, especially time outdoors.